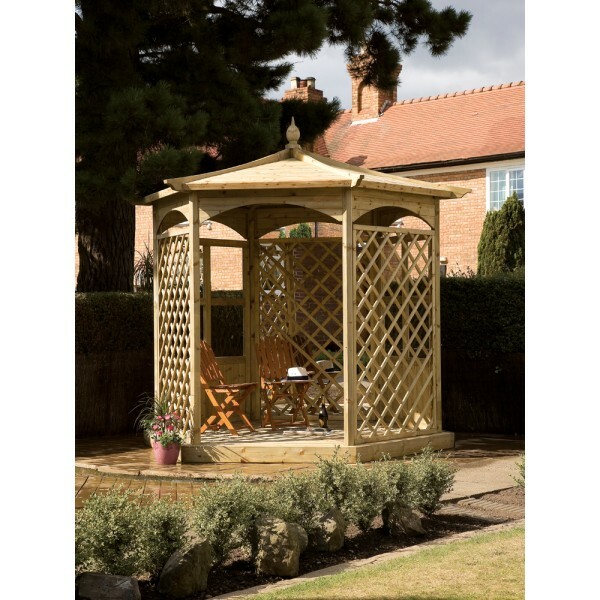 The Budleigh Gazebo Model C is a beautiful addition to any garden, adding an extra dimension to the available space. 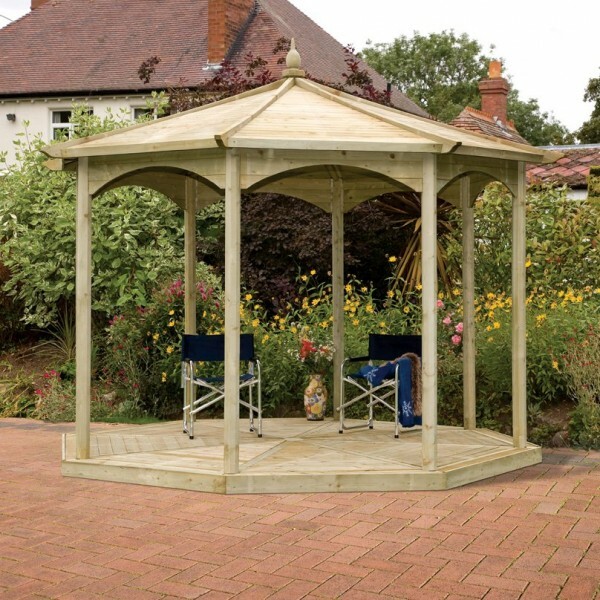 Gazebos are an elegant extension of your property, giving you the chance to spend time outdoors while still enjoying shelter when needed. 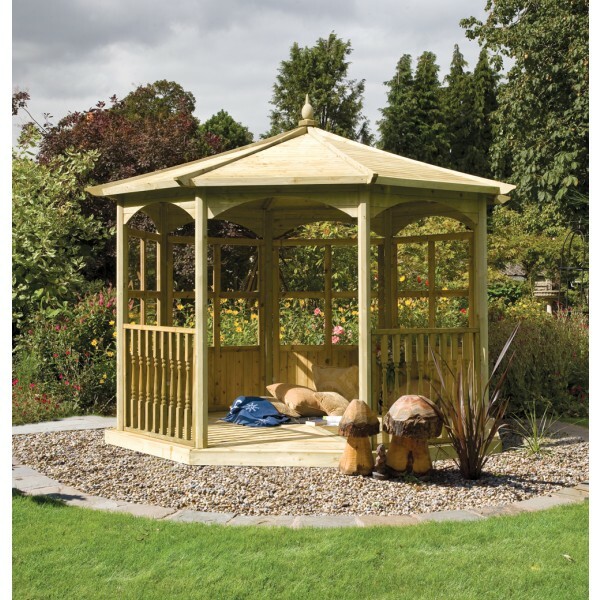 At 3.18m wide, this gazebo suits medium to large gardens the best, accentuating the landscaping and adding a touch of style. 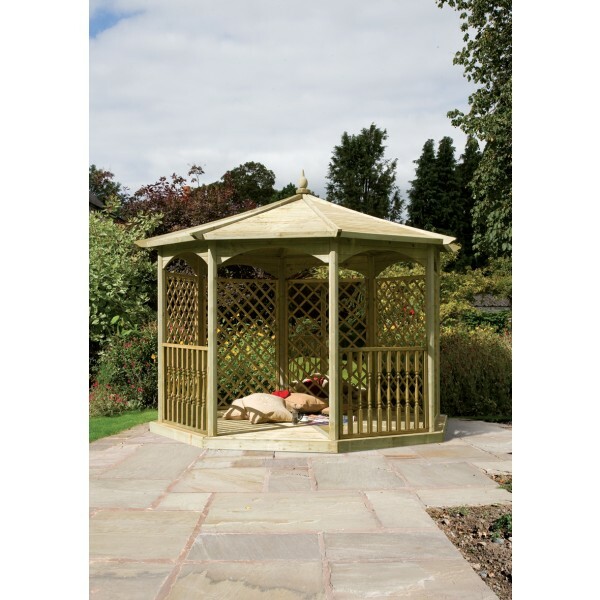 This is a particularly decorative style of gazebo, with ornate trelliswork offering a focal feature. The Budleigh will complement any garden theme, looking good in both traditional settings as well as more contemporary landscaping. 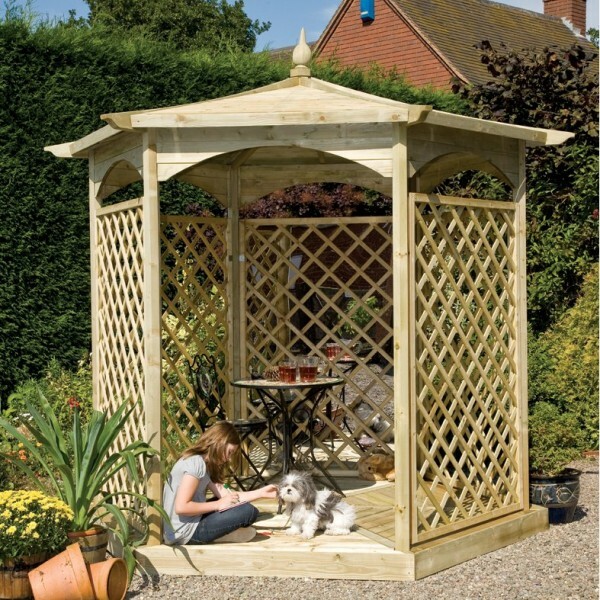 The overall shape is similar to the other models in the Budleigh range of gazebos, with its six sides forming an intricate hexagonal shape. This provides the maximum opportunities to allow light into the structure, creating a bright and airy space. The front of the gazebo is left open so there’s no doors to navigate, leaving entry and exit convenient. 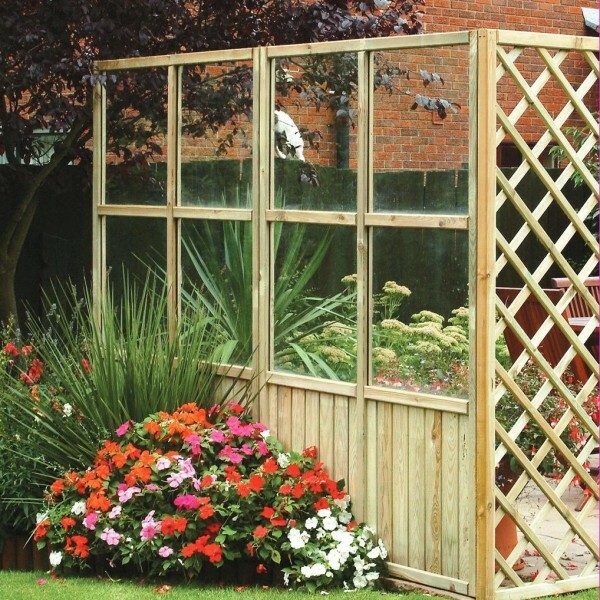 The five remaining sides are covered with an eye-catching trellis which provides plenty of opportunities for climbing plants and flowers to decorate the sides. 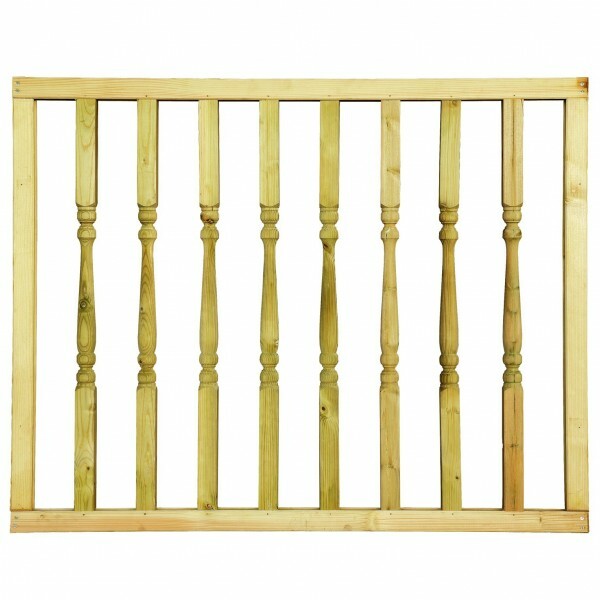 With a solid decking base and timber roof, this is a strong construction which is built to last. 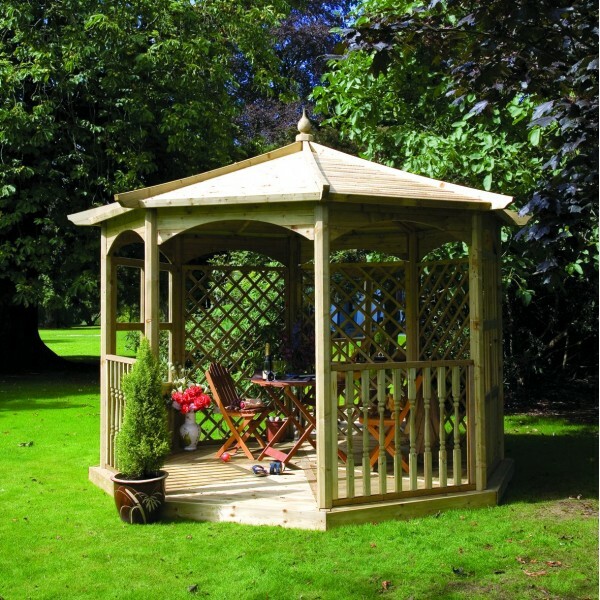 The Budleigh Gazebo, is a 6 sided option (with a diameter of 3.2m), a perfect place in which to enjoy sunny afternoons and warm evenings with family and friends. 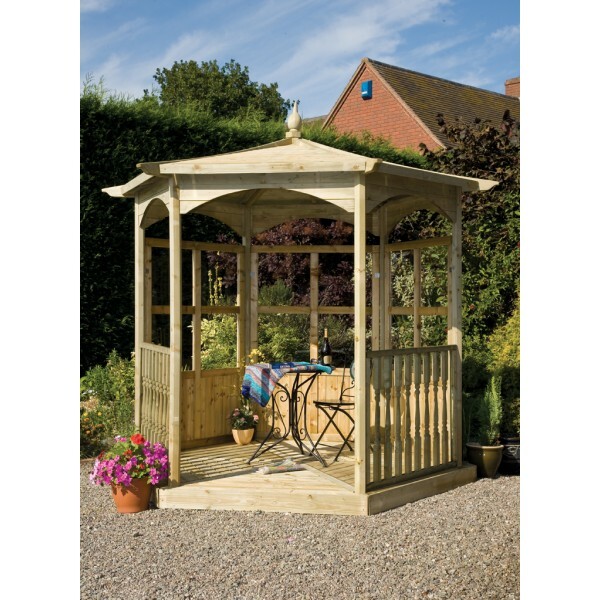 The gazebo is constructed from specially selected pressure treated timber for a longer life.